A reporter at the Detroit News asked me about a motorized scooter that can be used by observant Jews on Shabbat. She wanted a local rabbi’s help in understanding why a scooter wasn’t permissible on Shabbat and why this scooter was acceptable. It was fortuitous that she contacted me since I am already familiar with the Israeli-based Zomet Institute, which partnered with the scooter company, but I have also seen this Sabbath-acceptable scooter in action since I know Michael Balkin, who owns one of these scooters and was interviewed for the article. It truly is remarkable how modern technology can be used to allow those challenged by a disability to maintain the laws of Shabbat. 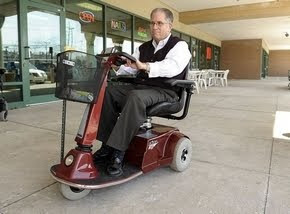 The article focuses on Balkin, whose “worsening neurological disorder has made walking more than a few steps nearly impossible.” Now, thanks to the “Shabbat Scooter” from Michigan-based Amigo Mobility International, he can get to synagogue on the Sabbath guilt-free. Since the article was published yesterday, I have been inundated with questions on Facebook and Twitter about how this scooter actually operates so that it’s “kosher” for use on Shabbat. All agreed that it’s great that technology has removed this barrier for observant Jews with disabilities, but they wondered how it works. There is a Shabbat/Normal switch on the Amigo. It is spring loaded and the toggle lever must be lifted before it can be switched to a different position so the user cannot accidentally switch the Amigo back to Normal mode during the Shabbat period. Once the switch is activated (and the key switch turned “on”), the software is designed so the start up signal goes through a timing circuit. The timing circuit is where the Gramma principle of an indirect action comes into play, thus the user is not activating the motor circuit directly. Once the timing circuit is complete the Shabbat module will close the motor circuit and the system is programmed so the Amigo “crawls” at a very slow speed without the user touching the throttle lever, we refer to this as “crawl speed”. During crawl speed the goal is to be able to stall the Amigo by turning the tiller all the way to the right or left. If the user feels that they are in physical danger at anytime they can depress an emergency brake switch and the Amigo will come to an immediate stop. Once the Amigo is in the crawl mode, if the user wants to go faster they pull on the throttle lever and the Amigo picks up speed just like normal. I’m told that this action is approved because the user is not opening or closing a motor circuit, they are just modifying the amount of current going through it. However, the user is not allowed to change direction by pushing the throttle lever in the opposite direction as this would require the motor circuit to switch. Instead the user has to depress the Directional Switch. When this switch is depressed the timing circuit is activated and after a couple seconds the Shabbat module sends a signal and switches the motor circuit so the Amigo runs in the opposite direction. The Amigo can be turned off when the user reaches their destination because it will again go through the timing circuit when the key switch is turned to the “off” position. The Amigo cannot have its batteries charged during the Shabbat period as this requires a direct action of having to connect the battery charger to the wall outlet. Depending on the Amigo model the Amigo can go 15-30 miles on one charge so they should have enough power for the entire Shabbat period. When the Shabbat period ends the use can switch the Amigo back to Normal mode. 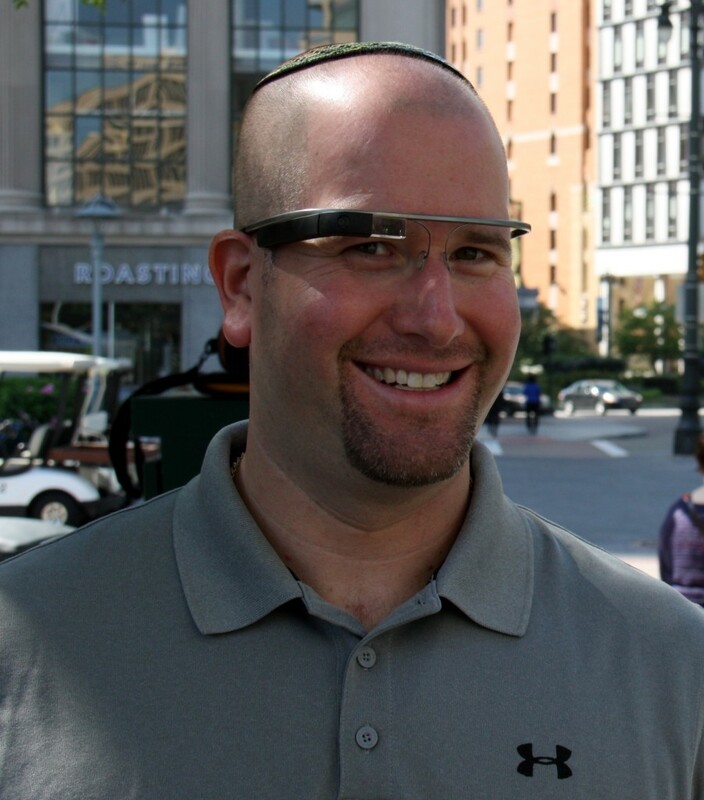 This technology has allowed observant Jews with physical disabilities to be part of a community on Shabbat without a dispensation from a rabbi. As new technological advances come about, we will continue to see how Jewish law evolves as a result.